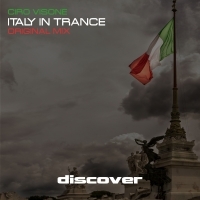 Next up, its the turn of one of Italy's finest trance production exports as Ciro Visone delivers - Italy in Trance. Without doubt one of todays power houses of epic trance, this is Ciro at his very best. Quality production and melodies at the very top end of the scale, the whole track fits together in perfect harmony. Once again Ciro shows why he is one of the masters of the genre!